Made using glass beads and quality split rings. 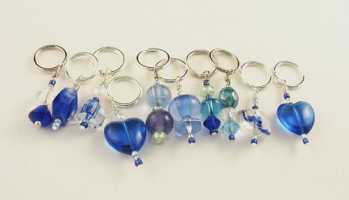 Bead size, shape and color will vary with each stitch marker. Stitch markers will fit up to US Size 15 / 10mm knitting needles.